What do Alaskans do when it’s blowing outside with freezing rain? 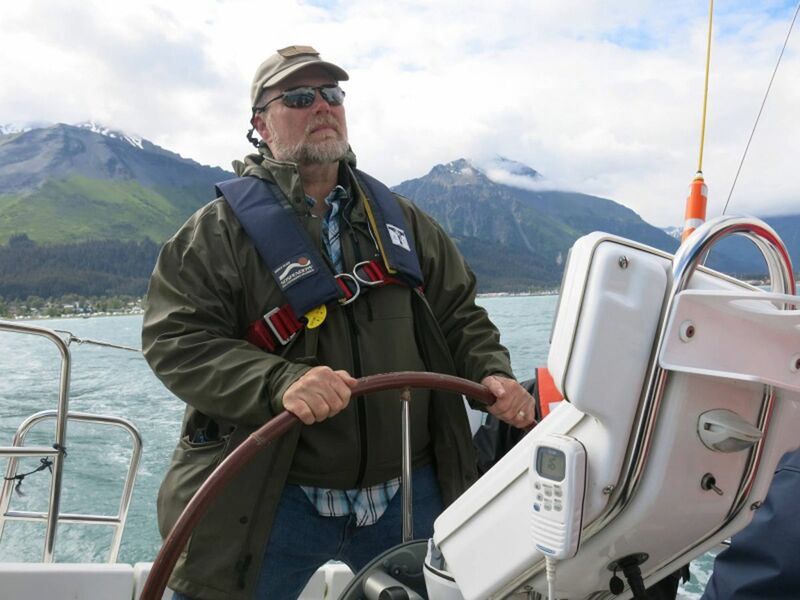 If you’re Eagle River author Marc Cameron, you work on your next Tom Clancy/Jack Ryan novel. Cameron is the New York Times best-selling author of 17 critically acclaimed novels, including two of the Tom Clancy/Jack Ryan series, and his own wildly popular, best-selling Jericho Quinn series. The Tom Clancy enterprise chose Cameron to write the next Tom Clancy/Jack Ryan novels in 2016. His first book in the series, “Power and Empire,” was released last year, debuting at No. 6 on The New York Times best-seller list. “In Mother Russia, secrets did not stay secret for long. 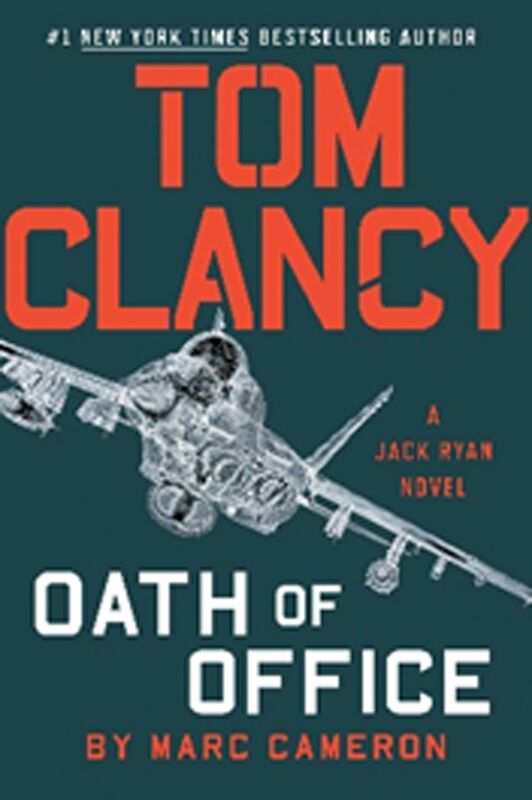 Information was strength …” These are the opening lines of Marc’s second Jack Ryan novel, Oath of Office, which comes out later this month. Originally from Texas, Cameron worked 30 years in law enforcement, spending the last 20 as the chief deputy U.S. marshal in Alaska. He retired in 2011 to pursue full-time writing. He holds a second-degree black belt in jujitsu and teaches defensive tactics to other law enforcement agency and civilian groups. As a certified scuba diver, an avid sailor and a motorcycle enthusiast, Cameron often features boats and bikes in his novels. He lives in Eagle River with his wife and BMW GS motorcycle. With the anticipated release of your Tom Clancy/Jack Ryan novel “Oath of Office,” and your new Arliss Cutter series set in Alaska (“Open Carry”), you must be over the moon. How were you chosen to write the next novels in the Tom Clancy/Jack Ryan novel series? I was a fan of Tom Clancy after reading “The Hunt for Red October” as a rookie policeman. Mark Greaney had written the previous seven novels, and he offered to do a cover quote for my next Jericho Quinn novel. I sent him “Field of Fire," which came out in 2016. He’d planned to send it to his editor, Tom Colgan, at Putnam, recommending me as the next writer for the Jack Ryan novel series. Colgan called my agent, who contacted me to make the offer. How did you react when you found out you’d be the next author of the Jack Ryan novels? It was terrifying. I was on a beach in Florida working on the first draft of my new Arliss Cutter series, “Open Carry,” when my agent called to tell me. Before that, I had no clue. My wife has photos of me holding the phone and collapsing on the sand. The whole thing was overwhelming. We got to work and put ourselves through the Tom Clancy university, studying everything in the Ryanverse. Publishers Weekly stated in their review of “Power and Empire” that “All the writers who have contributed to the (Jack Ryan) series since Clancy’s death have been good, but Cameron’s formidable performance puts him at the head of the pack.” Do you have freedom with plot and characters or does the Clancy franchise have specific ideas about plot and character? My editor, Tom Colgan and I talk quite often, and brainstorm together. We usually come away from our first meeting with a kernel of an idea. For instance, on “Oath of Office,” he had an idea of a Persian Spring — something that wasn’t what it seemed, and Jack Ryan is convinced there’s something sinister behind it. From that kernel, I wrote a synopsis with Portuguese arms dealers, stolen missiles, and subplots where Jack Ryan must spin multiple plates at the same time. I chase my protagonist up a tree, then throw rocks at him. I must do that — no one wants to read about people strolling through daisies, readers want them picking their way barefoot through miles of broken glass. I’m fortunate to work with two of the best editors in New York, Tom Colgan for the Clancy books, and Gary Goldstein for the Jericho Quinn novels. Tom and I agreed from the beginning my job was not to imitate Tom Clancy’s style, but to write the books in Marc Cameron’s voice and style in the spirit of Tom Clancy. Stay true to the characters and write them as Clancy had envisioned them. I enjoy writing Jack Ryan, he’s a good, honest archetype of a character. The cool thing about Jack is he’s strong and vulnerable at the same time. I write multiple drafts until I get him right. A new Jack Ryan series premiered in September on Amazon. What are your thoughts on the film series? Do you envision being called upon for future personal involvement, such as a consultant as the series continues? I’m not involved with the Jack Ryan film projects, that’s a separate entity. I enjoyed watching season one of the series and thought John Krasinski did a good job playing the role of Jack Ryan. I empathized with him in having large shoes to fill. I enjoyed reading “Triple Frontier,” where Jericho Quinn rides a BMW 1200 GS Adventure motorcycle. I understand you have a BMW GS bike. Have you ridden it on the Alaska Highway to the Lower 48? Yes, about five times now. My son and I rode the Alaska Highway a few years ago on bikes. He rode a Triumph and I rode my GS. It was a great adventure. As an Alaskan, I love the cover of “Open Carry,” which takes place in an Alaska setting. What role does Alaska play for you when bringing this story to life? “Open Carry” is a mystery set against the backdrop of a reality show in Southeast Alaska, so naturally Alaska is another character, same as in my Jericho Quinn books. Anyone who lives here knows how unique and big Alaska is, so saying it is another character sounds simplistic, but in reality Alaska’s terrain is a character and the weather and the people are also characters. What’s that joke — we’re all here because we aren’t all there? You either love Alaska or you hate it. I love it, my wife and I have lived here 20 years. I’ve been retired six years now, with no plans to leave. We go to the Cook Islands in the South Pacific for several months each winter to write, but we’re always happy to return to Alaska. I used to read Thor Heyerdahl’s books as a kid and dreamt about exploring Polynesia in the South Pacific. We fell in love with Rarotonga. We play the song “Southern Cross" by Crosby, Stills & Nash whenever our plane lands in Rarotonga. We see the Southern Cross each evening over the place we stay. The first of your new Arliss Cutter series, “Open Carry,” will be released February 2019. Tell us about your new character, U.S. Marshal Arliss Cutter. How does he differ from Jericho Quinn? Jericho is more over the top, wears leathers and rides a motorcycle. He’s more of a James Bond type — quick, smart, and ruthless. He wears a Japanese sword down the spine of his jacket. This series is more like a graphic novel in print. Arliss Cutter is a strong character, a supervisory deputy marshal, married several times. He draws a solid line on bad behavior, doesn’t tolerate bullies, and has an unwavering sense of right and wrong. No gray areas with Arliss. When are your Alaska book signings for your Jack Ryan novel, “Oath of Office,” and the first of your new series, “Open Carry”? The “Oath of Office” book signing will be at Anchorage Barnes & Noble, Dec. 5 at 6 p.m. “Open Carry” will be out at the end of February and I’ll announce the Anchorage book signing on my website, marccameronbooks.com. Come see me at Barnes & Noble, I love talking with readers, especially fellow Alaskans. With all you’ve experienced as a successful author, what would you say to those dreaming of writing novels, as you were inspired by the Tom Clancy characters? Keep writing no matter what. Enjoy what you write and keep it fun. Turn off the smartphones, look up to observe what goes around you. Make it happen. Dreams do come true if you don’t give up on them. A while back, someone asked me if money was no object and I could do anything, what would it be? That’s an easy one: Writing on an island in the South Pacific — or just about anywhere. As long as I’m writing.